A rigorous and transparent system of academic program review ensures quality and demonstrates accountability to the public and to current and prospective students. It also provides a sound basis for program enhancement and improvement. Within the university's commitment to the principle of academic freedom, reviews should be objective, analytical and constructive. Components of the review process have been mandated by the Ontario Universities Council on Quality Assurance Council (Quality Council) of the Council of Ontario Universities. Wilfrid Laurier University’s Institutional Quality Assurance Procedures (IQAP), comprising this policy and policy 2.2, were ratified by the Quality Council on June 20, 2011. The Institutional Quality Assurance Procedures are subject to approval upon revision and will be audited by the Quality Council on an eight-year cycle. The administration of the review process for all graduate and undergraduate degree programs and diploma programs is the responsibility of the provost and vice-president: academic who is the sole contact between the institution and the Quality Council. The development of review documents for all undergraduate and graduate programs is overseen by the Quality Assurance Office in conjunction with the associate vice-president: teaching and learning. The Program Review Sub-Committee of the Senate Academic Planning Committee, supported by the Quality Assurance Office, is responsible for managing the review process. The Senate Academic Planning Committee is responsible for approving the recommendations of the Program Review Sub-Committee and presenting them to Senate. Wherever possible, programs which exist at the graduate and undergraduate level in the same discipline, department, or unit will be reviewed together. Similarly, programs which are offered at more than one campus will be reviewed together. The review schedule for all programs can be found on the Quality Assurance Office website and is reviewed and updated annually. All programs must be reviewed within eight years of their initial approval or last review. In the case of programs which must also receive review by a professional accreditation body (e.g., programs in Business, Education, Music Therapy, Social Work, and Theology), these review documents may replace those prescribed by this policy if all information required by the policy is contained or appended. The Program Review Sub-Committee will make a determination of the suitability of accreditation documents for the purposes of program review. In the case of joint programs with other postsecondary institutions, the participating institutions will agree on a common review schedule. Cyclical reviews will be conducted according to the IQAPs of the institution administering the review (usually the institution at which the current director holds appointment). The Self-Study will clearly explain how input was received from faculty, staff and students at each partner institution. There will be a single Self-Study. The site visit will involve all partner institutions and preferably all sites. Reviewers will consult faculty, staff, and students at each partner institution, preferably in person. Feedback on the reviewers’ report will be solicited from participating units at each partner institution, including the deans. One Final Assessment Report, with input and agreement from each partner, will be written and submitted through the appropriate governance processes at each institution. The Final Assessment Report will be posted on the university website of each partner. Partner institutions will agree on an appropriate monitoring process for the Implementation Plan. The Final Assessment Report will be submitted to the Quality Council by all partners. 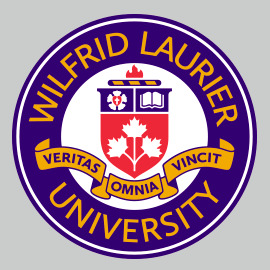 In cases where degree and/or diploma programs are offered jointly or as dual credential programs with non-IQAP institutions (e.g., colleges of applied arts and technology or institutes of technology and advanced learning), Wilfrid Laurier University will take the lead in the review process; all criteria and principles described below shall pertain as relevant. 1. A self-study will be prepared by a program’s curriculum committee or like body and include consultation with students and other relevant communities. These communities may include academic departments or programs within the university, as well as stakeholders in the broader community, including employers and professional associations. One author whose responsibility it is to assemble all material must be identified and recorded on the document. Typically, this author will be a chair, program coordinator, or associate dean (in non-departmentalized faculties). 2. A draft of the Self-Study will be submitted for review and comment to the Quality Assurance Office and relevant Faculty dean(s), in the case of undergraduate programs. In the case of graduate programs, the Self-Study draft will be submitted to the Quality Assurance Office, Faculty dean and dean of Graduate and Postdoctoral Studies. Where both undergraduate and graduate degrees are being reviewed, the Quality Assurance Office and all relevant deans will receive the draft Self-Study. 3. After receiving feedback from the Quality Assurance Office and the dean(s), the program director, coordinator, chair, or associate dean will submit the Self-Study to the Program Review Sub-Committee who will select a review committee from the nominees recommended by the program. 4. The Quality Assurance Office will contact the review committee, schedule the site visit, and submit the Self-Study for appraisal. 5. Following its visit to the university, the review committee will write a report summarizing the strengths of the program(s) and note any concerns or recommendations for change. 6. The program will write a response to the report of the external review committee. 7. In consultation with the vice-president: academic and the associate vice-president: teaching and learning, the dean(s) will prepare a Final Assessment Report, consisting of a summary of the review documents (self-study, reviewers’ report, unit response) as well as a decanal response and implementation plan, which identifies the recommendations made by the review committee that will be prioritized. 8. The Program Review Sub-Committee will review the Final Assessment Report and submit it to the Senate Academic Planning Committee with a recommendation for final approval. 9. The Final Assessment Report will then be submitted to Senate, the Board of Governors, and the Quality Council for information. The Self-Study provides an opportunity for the unit to engage in serious self-reflection through the analysis of the strengths and areas for improvement of all aspects of the program(s) under review. As such, the report is intended to be contemplative and analytical, not defensive, evasive, or merely descriptive. The opportunity should be taken for a probing examination of the academic character of the program and for exploring innovative alternatives. The Self-Study consists of three volumes: the Self-Study report, full faculty curricula vitae, and suggested external reviewers. The report should make clear how all data were collected, in what form, and by whom. Only data relating to the period under review should be included, i.e., normally the previous eight (8) years. Program faculty, staff, students, and (where applicable) external stakeholders and professional accrediting bodies should participate in the self-study process and have their contributions acknowledged. For professional programs, feedback from employers and professional associations should be included in the Self-Study as an appendix. Brief history and background of the program(s) under review and their purpose within the institution. Include a list of all programs offered, including those with majors, combined degrees, minors, options, diplomas, or certificates. For graduate reviews, identify any fields within the program. Actions that have been taken based on recommendations from the previous review. For professional programs, a summary of any recent accreditation reports. Questions or issues that the unit would like the review committee to provide feedback on to enhance the quality and viability of the program. Learning outcomes are foundational to making sound decisions about the quality and alignment of individual programs. More specifically, they provide the basis to communicate what the program is about; that is, the kinds of knowledge, experiences, and skills students will have ideally developed upon successful completion of the program. Program-level learning outcomes also inform the identification and development of courses (core, restricted/open electives), as well as the feedback and assessment plan(s) used to evaluate the effectiveness of the program overall and the experience of students. Consistency with Wilfrid Laurier University’s mission, vision, and values and Academic Plan. Clarity and appropriateness of the program’s requirements and associated program-level learning outcomes addressing Laurier’s undergraduate (UDLEs) or graduate (GDLEs) degree level expectations. For professional programs, consistency of the program level outcomes with provincial, national and professional standards. a. Appropriateness of the program’s admission requirements for the learning outcomes established for completion of the program, including adherence to the university’s minimum requirements (consult the undergraduate and graduate academic calendars for minimum university requirements). b. Explanation of alternative requirements, if any, for admission into a graduate, second-entry or undergraduate program, including minimum grade point average, additional languages, portfolios or creative work, along with how the program recognizes prior work or learning experience. Appropriateness of the program's structure and curriculum to meet its learning outcomes, whether all program courses listed in the calendar are necessary to meet curricular objectives, and whether any new courses are needed to reflect recent developments in the discipline/profession. How the curriculum reflects the current state of the discipline, area of study or field. Average class size. For graduate programs, (i) how the program meets the Quality Council requirements that two-thirds of required coursework consists of graduate-level courses; (ii) evidence that students’ time to completion is both monitored and managed in relation to the program’s defined length and program requirements. Modes of delivery used within the program and how these methods are appropriate and effective in meeting the program’s learning outcomes. Amount of service teaching for other academic units and any advantages / disadvantages of this activity. Ways in which the unit incorporates High Impact Practices into its curriculum. Innovation or creativity in the content and/or delivery of the program relative or comparable to other such programs. For graduate programs, an explanation of the purpose of fields and how they are staffed and supported appropriately. For graduate programs, the inclusion of professional or transferable skills for students. Recent or ongoing significant curriculum changes that have been made, or will be made, to meet program- and course-level learning outcomes along with strategies and a proposed schedule for implementing any future changes. Methods for assessing student achievement of the defined program- and course-level learning outcomes and degree level expectations. Appropriateness and effectiveness of the means of assessment, especially in the students’ final year of the program, in clearly demonstrating achievement of the program-level learning outcomes and Laurier’s Degree Level Expectations. Appropriateness and effectiveness of the academic unit’s use of existing human, physical and financial resources in delivering the program. Description of the administrative and decision-making structure/process within the unit (e.g., titles of all standing or ad hoc committees, how members are appointed/elected, the frequency of meetings) and an assessment of the effectiveness of the current structure and process. Academic services that contribute directly to the academic quality of each program under review and to student success, including library support, information technology support, laboratory access, services offered through Centre for Student Success, Centre for Teaching Innovation and Excellence, Faculty of Graduate and Postdoctoral Studies, Co-operative Education, and academic advising. i) Appropriateness of collective faculty expertise to sustain the program, promote innovation, and foster an appropriate intellectual climate. ii) The type and amount of professional service provided to the profession, discipline, or community. iii) Quality and quantity of scholarly and creative activity within the program, including involvement by undergraduate students where applicable. iv) Qualifications and appointment status of faculty who provided instruction and supervision, including the qualifications of part-time faculty. Numbers of full-time, limited-term appointment and contract academic staff members contributing to the program in each year. Evidence of how teaching and supervisory loads were distributed and the criteria used to determine this distribution. v) For graduate programs, the numbers of faculty who have graduate faculty status by type of status. i) Numbers of applications and registrations, compared to targets (if applicable). ii) Average GPA of students entering from secondary school (for first undergraduate degree programs only) or from any previous postsecondary degrees (if applicable). iii) Percentage of students obtaining the necessary GPA, or other requirements, to progress through the program and attrition rates per year. iv) Number of students graduating from the program each year and their average GPA at program completion, as well as the percentage of graduating students who have completed the program within the normal number of years (e.g., four years for an honours program; one or two years for a second degree or master’s program; four years for a doctoral program). v) Average number of honours, general, and graduate students in the program per year, by level and any changes in unit enrolment patterns during the time period under review. vi) Number of international students in the program per year and the resources available to support their academic success. vii) Overview of academic awards available to students. viii) Summary of course evaluations and summarized exit surveys, where permitted by the Collective Agreement and the Freedom of Information and Protection of Privacy Act (FIPPA). ix) Employment options and career successes 6 months and 2 years after graduation, an estimate of the numbers applying to graduate school and the rate of successful admissions, an estimate of number working in relevant “skills matched” fields. i) Numbers of applications and registrations, compared to targets. ii) Graduate student flowthrough data. How students’ time to completion is both monitored and managed in relation to the program’s defined length and program requirements. iii) Number of degrees granted. iv) Number of students completing a Master’s degree by coursework, major research paper or thesis. v) Student enrolment patterns and predicted future trends. vii) Evidence that financial assistance for students has been sufficient to ensure adequate quality and numbers of students. viii) Course evaluations and summarized exit surveys, where permitted by the Collective Agreement and the Freedom of Information and Protection of Privacy Act (FIPPA). ix) An estimate of the number of graduates working on a subsequent degree or postdoctoral fellowship; an estimate of the number employed in relevant “skills matched” fields. x) Alumni reports of satisfaction with the program. (Programs should consult Policy 8.2 Ethics Approval for Administrative Research Using Human Subjects prior to surveying alumni. Strategic plan for future directions and aspirations for the program, including barriers to reaching these objectives. Concerns or problems that the unit and/or university should address to enhance the quality or viability of the program, as well as recommendations for action to improve the quality of the program or its administration. Summary and conclusion to the Self-Study, articulating the unit’s strengths and weaknesses as well as opportunities for enhancing the quality of the teaching and learning environment. The university will prepare a detailed manual for the conduct of cyclical program reviews. The manual will provide templates for the self-study and reports, and a schedule for review of all undergraduate and graduate programs. In addition, the manual will provide guidance on the benefits and conduct of rigorous, transparent, objective, analytical, and constructive self-studies; establish criteria for nomination and selection of arm’s-length external peer reviewers; and identify responsibilities for the collection, aggregation and distribution of institutional data and outcome measures required for self-studies. at least eight associate or full professors from other North American universities who are within the discipline. Normally, four of these will be from universities outside Ontario. These nominees also must be recognized as excellent teachers and scholars, and at least two of them must have academic administrative experience. These nominees must not have any past or current formal affiliation with the unit or with members of the unit (e.g., PhD supervisor, co-author) and must be in compliance with the University’s Conflict of Interest policy. The nominees may be grouped into categories reflecting different areas or fields within the discipline, with the request that at least one member from each category be selected. if appropriate for the program being reviewed, a list of at least four representatives of industry, the professions, and practical training programs. In keeping with the requirement that reviewers must be at arm’s-length, the academic unit(s) will not contact the reviewers directly but will submit the names of prospective reviewers to the Quality Assurance Office. The Quality Assurance Office will contact the nominees to determine their interest and availability and collect the information to complete the Volume III template. For reviews of joint and collaborative programs, the university will consult with the office of the vice-president: academic or equivalent, at partner institutions. From the lists of nominees, the Program Review Sub-Committee will select one internal reviewer from outside the program’s academic unit(s) and one external reviewer for an undergraduate program or two such reviewers if the review is of a graduate program or of both a graduate and undergraduate program. If the Sub-Committee is not satisfied with the appropriateness of the nominees they will request additional names from the academic unit. The Sub-Committee shall submit the list of reviewers to the Senate Academic Planning Committee for information. Following approval by the Program Review Sub-Committee, the associate vice-president: teaching and learning will contact the nominees to confirm their role and to schedule the site visit. f. Respect the confidentiality required for all aspects of the review process. These expectations will be conveyed to the reviewers in written instructions and face-to-face meetings with the relevant dean(s) and the provost and vice-president: academic or associate vice-president: teaching and learning. The provost and vice-president: academic or the associate vice-president: teaching and learning will also be responsible for providing the reviewers with explicit instructions that the program is to be evaluated against the criteria listed in C above. The internal and external reviewers will consider the Self-Study and may request additional information (programs must inform the Quality Assurance Office of any additional information provided to the reviewers). The reviewers will spend one to two days visiting the academic unit(s) under review. They will meet with the provost and vice-president: academic; associate vice-president: teaching and learning; faculty, staff, and undergraduate and graduate students within the unit; the deans of the relevant Faculties; the chair/director/coordinator of the unit under review and of any collaborating units (for interdepartmental programs); the university librarian; and any other members of the university community who can provide needed information. The report must be submitted to the Program Review Sub-Committee within four weeks of the site visit. In the written report, the reviewers should comment on compliance with all evaluation criteria and respond to any questions posed in the Self-Study. This report should also contain an executive summary suitable for inclusion in the Final Assessment Report and posting on the university’s Quality Assurance Office website. b. answers to all questions and responses to all recommendations made by the reviewers. A proposed timeline for the implementation of all recommendation. Only recommendations made in the Reviewers’ Report should be included in the Final Assessment Report. The Program Review Sub-Committee will submit the Final Assessment Report to the Senate Academic Planning Committee for approval or further modification, as necessary. The Final Assessment Report (excluding all confidential information) will be provided to the program and relevant deans and submitted for information to Senate, the Board of Governors, and the Quality Council. The Final Assessment Report will be posted on the university’s Program Review website. Only the Final Assessment Report will be publicly accessible. All other information will remain confidential. Two years following the submission of the Final Assessment Report to Senate, the unit will be asked to prepare an Implementation Report describing progress made on the implementation of recommendations prioritized. The unit will propose a revised implementation date, as appropriate, and identify any significant developments or initiatives since the cyclical review that have impacted the implementation of recommendations. The report will be submitted to the relevant dean(s) for comment, then to the Program Review Sub-Committee for review and approval, and to the Senate Academic Planning Committee for information. The Program Review Sub-Committee will determine if and when a subsequent report is necessary and communicate that decision back to the unit. All implementation reports will be made public on the Program Review website. Additional information can be found on the Cyclical Review page. Selection and approval of reviewers. Reviewers’ report to VPA and Dean. Executive response and implementation plan (VPA and Dean). Report to Program Review Sub-Committee of Senate Academic Planning Committee. Approval by Senate Academic Planning Committee. Report to Senate and Board of Governors. Annual follow-up on implementation plan by Program Review Sub-Committee.